We told you REALTOR® QUEST 2019 was going to be bigger and better than ever, and with the announcement of TREB's first-ever real estate symposium, we hope we're exceeding your expectations! 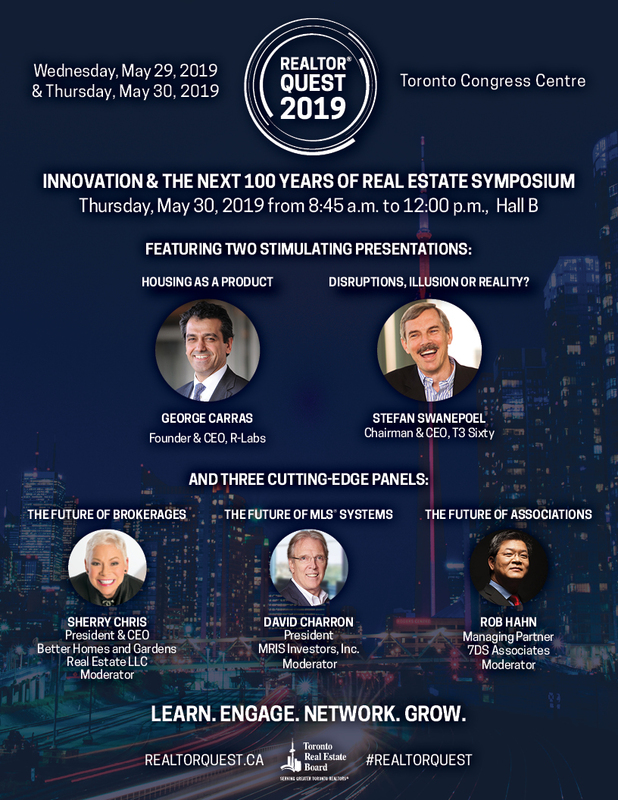 On Thursday, May 30 from 8:45 a.m. to 12:00 p.m., the symposium will focus on the Next 100 Years of Real Estate in preparation for TREB's own 100-Year Anniversary celebration in 2020. 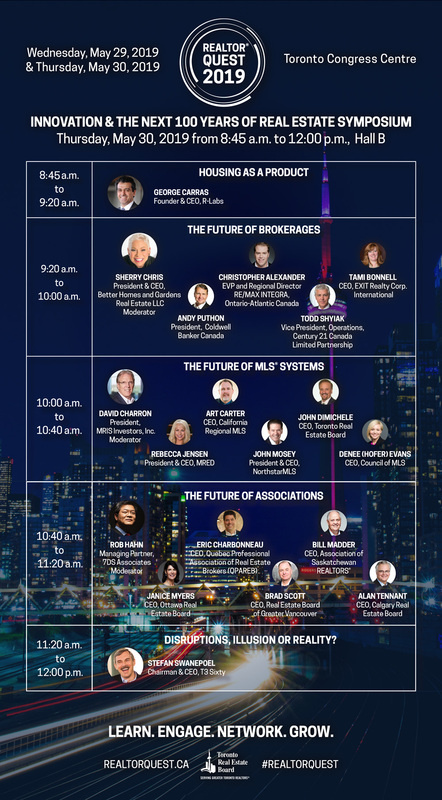 You won't want to miss a second of the action as leading industry experts from across North America come together to discuss some of the most cutting-edge and controversial issues known to our industry today, including housing as a product, the future of brokerages, the future of MLS® Systems, and the future of associations. We want you think critically and engage in this discussion because at the end of the day, the next 100 years are up to us. We are at a crossroads, and we all have a choice to make. Click here to view the full programme with all speakers confirmed to date.